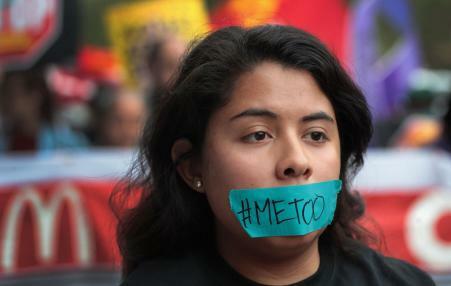 It’s been a long time since a strike in the US directly targeted sexual harassment. 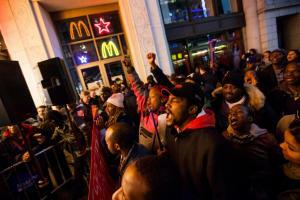 But on Tuesday, women workers took direct action against their bosses and brought the #MeToo movement to McDonald's. Higher pay scales for longer-term employees would likely further reduce turnover and increase loyalty, says Erin Johansson, research director at Jobs With Justice. 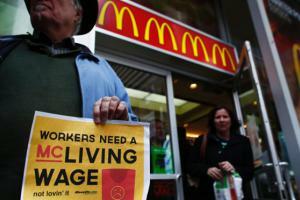 It would also reduce the burden on tax-paying Americans, who shell out more than $1.2 billion each year to cover public assistance programs for McDonald's employees, according to a recent study by the National Employment Law Project. 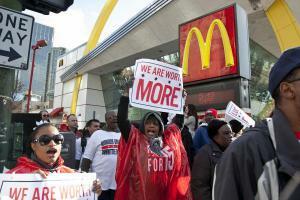 How the minimum wage hurts us all. 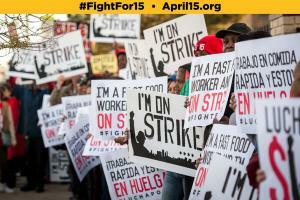 Is $15 an Hour a Realistic Goal for Fast-Food Workers? -- Even the Wall Stree Journal says YES -- If all workers earned at least $15 an hour, there would be a ripple effect through hundreds of occupations. 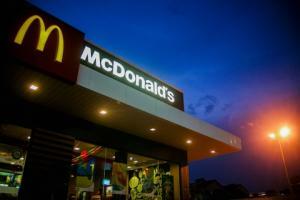 For years McDonald's new products, business ventures, even social media attempts have gone wrong. It has spectacularly failed to attract or even hold on to millennial customers, who’ve fled in droves. It’s the most visible target of an alliance of workers fighting for $15 an hour and its food is seen as anything but sustainable, fresh or healthy. A result has been a whopping 15 percent drop in its United States operating income in the last quarter of 2014. 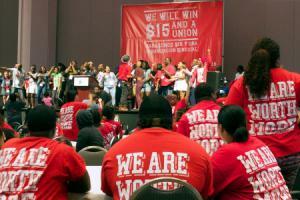 While the fast-food movement may not be close to persuading McDonald’s to adopt a $15 minimum wage, even the campaign’s critics acknowledge it has achieved some of its goals by prompting a national debate about low-wage work and nudging various cities and states to raise their minimum wage.